« Are smart phones killing off CCTV monitoring stations? “We are excited to announce that today we have entered into a definitive agreement to acquire the video analytics company, VideoIQ, Inc. Founded in 2006, VideoIQ has grown to become a leader in real-time intelligent video analytics solutions for security and business intelligence applications. This new acquisition complements Avigilon’s line of high-definition surveillance solutions and provides us with sophisticated and proven analytics technology supported by one of the leading development teams in the industry”. Back in March 2011 we reported a synergy between the two companies now it seems they are one. There is one other benefit that Avigilon may chose to exploit. Video IQ are well known for being pioneers of EDGE recording. It remains to be seen if this will be developed further by Avigilon but its always been a unique selling point for VideoIQ and something that should not be overlooked for the future. So is this the end of VideoIQ ? For the moment we are led to understand that Video IQ will continue in its own right. It has a global user base and support will continue to be provided as before. Eventually though of course VideoIQ will be integrated fully into Avigilon’s products and eventually the two companies will be one. It is certainly an exciting development that Avigilon should chose to take this step, an already powerful product will become an almost complete solution and this will give end users a huge choice as to how they are able to process and act upon activity taking place within their company. Avigilon will still be providing solutions to health and safety issues as well as monitoring production and increasing security but now with the benefit of high quality analytics on board. Automated realtime detection in HD is now here and underpinned by technology developed by two of the most successful companies within the industry. 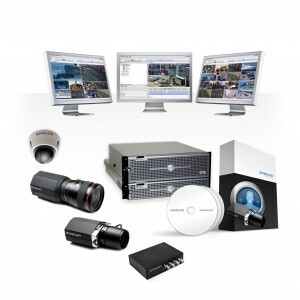 What sets Avigilon apart from other HD IP CCTV systems. This entry was posted on Thursday, January 2nd, 2014 at 21:11	and is filed under Analytics, HDCCTV. You can follow any responses to this entry through the RSS 2.0 feed. Both comments and pings are currently closed.